You want to get Tim McNiff fired up? Ask him what his favorite Christmas song is! Here is the 2018 version of his ever-evolving list. There is no Holiday, event, or time of year that inspires and yields the amount of music that Christmas does. Each year new songs are introduced, and new interpretations are put on long-time classics. 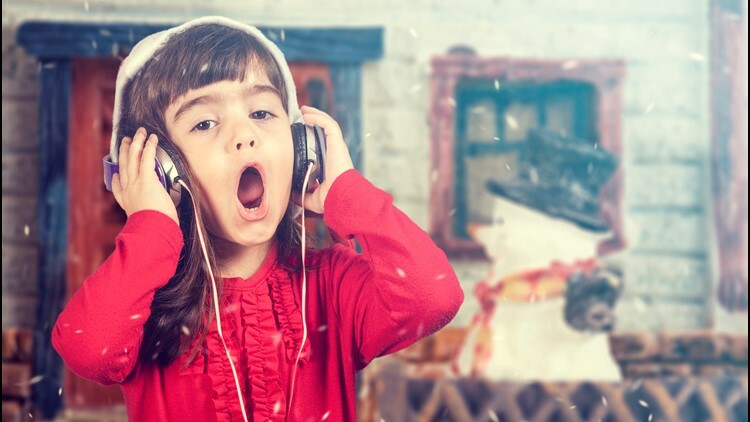 While these songs come and go, some Christmas music remains timeless... and irreplaceable. With the following playlist I’m attempting to share some of my favorite Christmas classics, while introducing you to some new songs that I hope will come to mean as much to you and your family as they do to mine. I hope you enjoy the playlist. I look forward to your feedback, and I hope you’ll feel free to suggest Christmas music that I can add, as I’m always looking to add new songs. Merry Christmas to you and yours, enjoy! It’s The Most Wonderful Time of the Year, Andy Williams: A timeless classic. This joyous song, featuring the classic big band sound and Williams’ priceless vocals combines for the perfect opening song. The Trouble With Love – Kelly Clarkson: This gem from the ‘Love Actually’ sound track got lost in all the gushing over Marian Carey’s ‘All I want for Christmas Is You'. Tell me it’s not every bit as good.. or better? Something About December – Christina Perri: I just found this beauty , and it is a worthy addition. I can’t wait to hear what you think! City of Silver Dreams – Sugarland: Actually, the whole album is really strong, and I could have put more of their songs on the list. It Won’t be Christmas Without You – Brooks & Dunn: Ronnie Dunn simply kills this song, and I love it every time he does. Pennies from Heaven – Louis Prima: don’t think this was ever intended as a Christmas song, but an appearance on the Elf soundtrack changed all that. Plus, it’s just a lot of fun! Christmas Lights – Coldplay: Like most songs from Coldplay, you either love it or you hate it. I love it, hope you do too. Winter Wonderland – Tony Bennett: What a gift, and Lady GaGa too! White Christmas – Bing Crosby: The all-time Christmas classic, there was never a better voice. Santa Tell Me – Ariana Grande: Keeps the kids happy and it works! Shake Up Christmas – Train: Give it a few seconds, you’ll be happy you did! Christmas in the Sand – Colbie Caillat: My wife’s new favorite.